Carnivores in Brazil now have a cookbook that does more than teach them how to cook meat — it can actually be ripped apart and used in the kitchen. It’s called the "A Biblia Definitiva Do Churrasco" ("The Bible of Barbecue"). A good chef can break down a pig and use nearly every part of it. (Crispy pig ears and fatty pig's feet can be especially tasty). This is kind of like that, but in book form! The "Bible of Barbecue" includes, among others, a page made out of charcoal, another one that doubles as an apron, one that can sharpen knives, and a wooden cover that works as a cutting board. 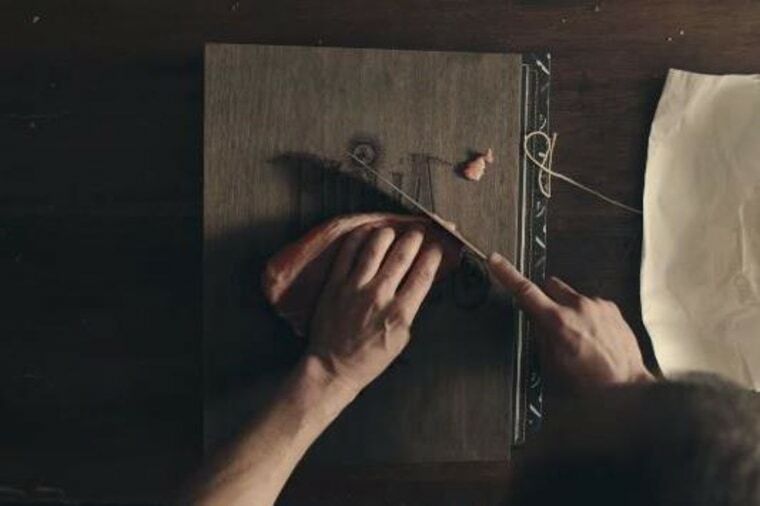 The book was created as a marketing stunt by JWT Brazil for its cookware client, Tramontina, but it will eventually find its way into some Brazilian stores. The only problem? Once dinner is done, home chefs will be forced to buy a new cookbook.